This item drop ships directly from my supplier. 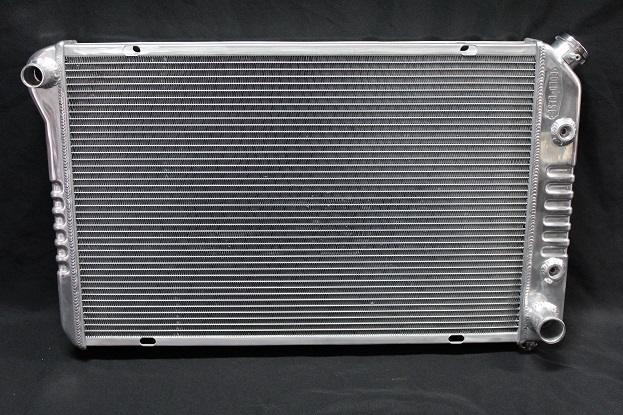 This is a Cold Case "ALUMINUM STOCK APPEARING RADIATOR" for a 1986 or 1987 Buick Grand National, T Type, Turbo T, or GNX 3.8 liter turbo V6. 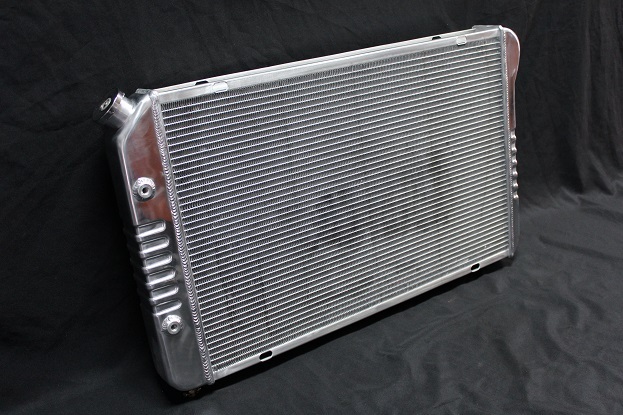 This product not only looks great in the car, but also most importantly keeps your car running cool especially for those of you running front mount intercoolers. Not to mention this item will lighten up the front of your car. 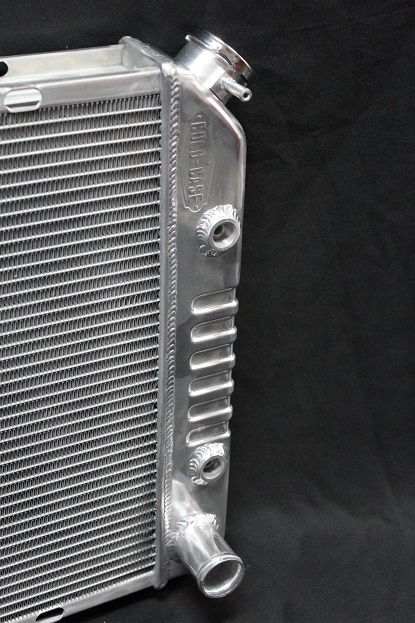 This aluminum radiator has transmission and motor oil hook ups just like the factory radiator. This radiator has (2) 1" rows for cooling. The radiator weighs just over 15lbs. This radiator also accepts the original radiator cap. Hit it with some Eastwood radiator paint and most people would think it was stock. Goes great with our engraved radiator caps and upper radiator pipe kits. THIS RADIATOR WEIGHS IN AT APPROXIMATELY 15 LBS! Save almost 16 lbs of weight off your front end and. This radiator has 3 rows of 3/4" tubes. 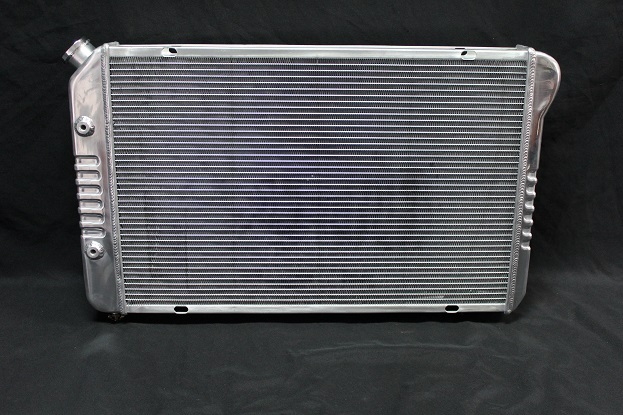 Includes fittings for the trans cooler. The oil cooling tubes are not like the factory units. They are hollow tubes with fins that cool 75% more efficient! We are running this radiator in our own GN. The three installed pics below show it installed. UPDATE! Went to one of our HUGE Super Extreme front mount intercoolers and the temps only went up about 10 degrees with the stock electric fan. Hottest temps I have seen with this new intercooler installed has been 190 degrees in hot weather and stop and go traffic! The motor did run about 10 -15 degrees warmer when going to the front mount from a stock location but this would happen with any radiator out there. Just want those running front mounts to know that you have to realize it isn't just a radiator that will solve your running hot problem, it is about air flow as well! Fits All G Body cars needing a transmission cooler and oil cooler. Ports can be blocked off if you are running external coolers. THIS RADIATOR WEIGHS IN AT APPROXIMATELY 13 LBS! 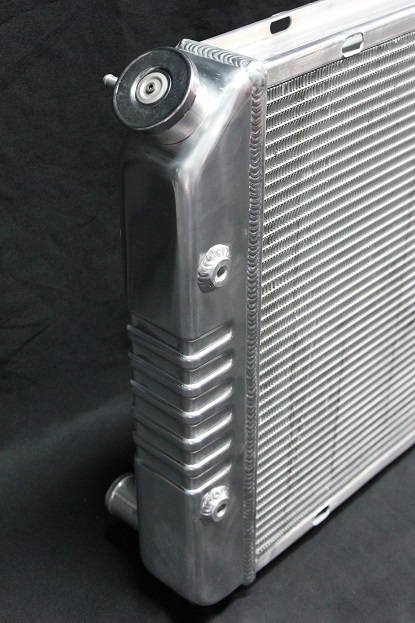 Custom OR COLD CASE Aluminum Radiator with transmission and oil coolers. Be sure to select the proper one from the drop down menu. Not responsible if you select the incorrect item .